Hello. 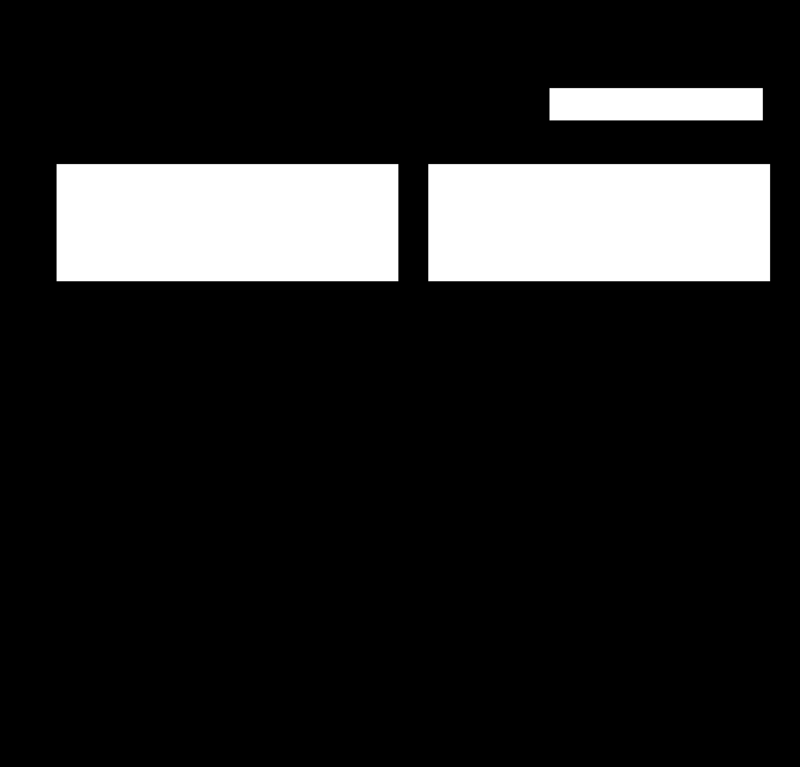 I have this input image, for which I want to get the coordinates Top, Left, W, H of the resulting white rectangles and Top, Left, W, H of resulting black rectangles that are surrouned by 1 pixel white line. I think I'm close to get my goal. So, may you give a hand please. With connected-components maybe? Thanks fmw42. It seems to work pretty fine for white reactangles! Now how can I get the same coordinates and size for the rectangles that are surrounded by the one pixel white line? Those 4 rectangles in black are below. Best if you provide an example image so I understand the issue. You got the coordinates of white rectangles fine. I still would like to get the coordinates and size of black rectangles surrounded by the white line. In the image below I show those rectangles I want in red. I am not sure how to do that unless you can color them first so they are filled in. If the lines were separate and did not connect between the box areas AND there were no extended lines, then then could be identified. But the connected components will get the bounding boxes including the extended lines. Perhaps some morphology might be able to remove the extension, but I am not sure how to do that. Actually one pass of connected components can identify the white border regions on the black boxes with some filtering and you can then fill them with white using the centroid coordinates and -draw "color $centroid floodfill". Once they are filled with white, some morphology can remove those extensions. Then another pass of connected components can locates the bounding boxes for all the white box regions again. The largest black box ("srgb(0,0,0)") is the entire image. The next four are the ones required. Yes, I agree with you. Good point. There is no need to fill then with white, since they are surrounded by white. Thus you can find the black rectangles as well as the white one apart from the background black. I see your code it works pretty fine taking the Black and White image as input. So, I think there is no strigth forward way, is need to make black and white first and then apply your code that prints the white reactangles too. Is there a way to mix in a single command the 2 steps below to make it more straight forward? Just concatenate the two commands without the intermediate saved image. I think this gets your 7 boxes where I have tossed out the header line and the largest black region which is the background. I tossed out anything smaller than 2000 pixels in area to throw out the white lines surrounding the black boxes. Thanks so much both fmw42 and snibgo. With the second option is not needed to make temp images and the area threshold is great. The sample image is very close to the original. Now I hope this logic works in original image. Your awk command is nice and compact, but it still prints the second field of the header line. Thank you again fmw42 for fix the awk command. 1-) You set a limit to avoit print areas lower than 2000 with "area threshold". Is there a way to limit with a range? let say print for example only areas between 2000 and 30000? 2-) Having the coordinates, I need to create uniques images for those that are at the same Y position. For example merge 422x355+70+589 with this 423x355+530+589 . I think this could be more complex so, suggest me if is better to open a new post for this. 2) Again, you would have to filter on Y coordinate of the extracted bounding boxes, then crop the original image for those boxes, one crop command per box. I am not sure I know what you mean by merge? Do you mean include a crop of both areas and the region between them? Or crop each box separately and append them. Perhaps a diagram/picture would help. All the above would have to be done from a script looping over each row of the output and filtering on the areas and matching the regions of the same or similar Y coordinate of the top left corner.